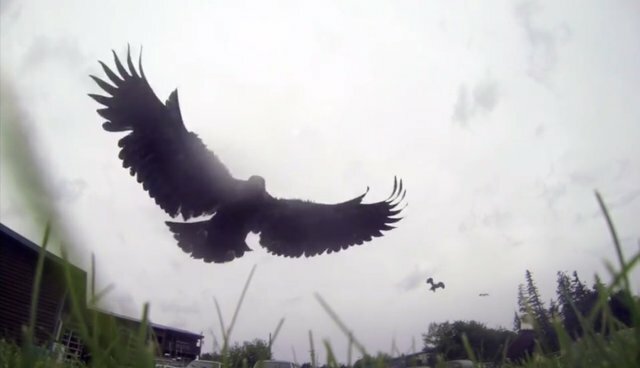 When a curious birdwatcher set up his GoPro near some feeding bald eagles, he had no idea that his camera would catch the eye of one of the magnificent birds. The group of eagles were eating some salmon heads leftover from a fishing session in Craig, Alaska. Eagles are carnivorous, but they actually tend to scavenge most of their meals. 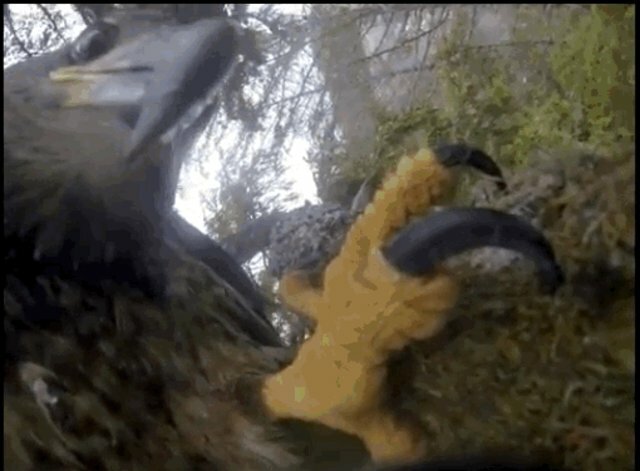 However, one of the eagles decided to swoop in for the "kill," and kidnapped the GoPro, taking the camera back to her nest. 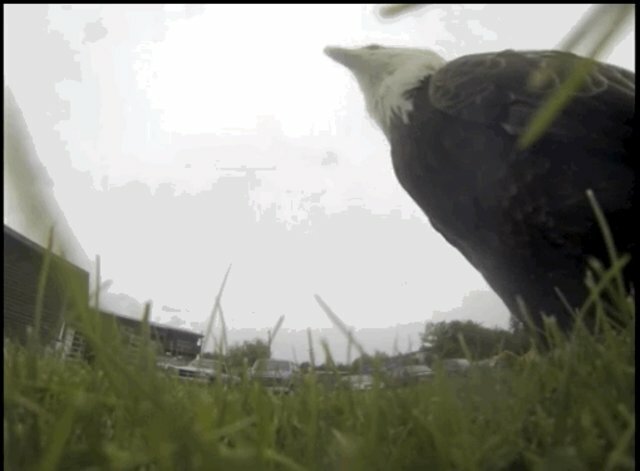 Once the eagle was able to inspect the camera on perch, she realized that the camera wasn't actually food at all - her impressive talons couldn't even break the gadget open. 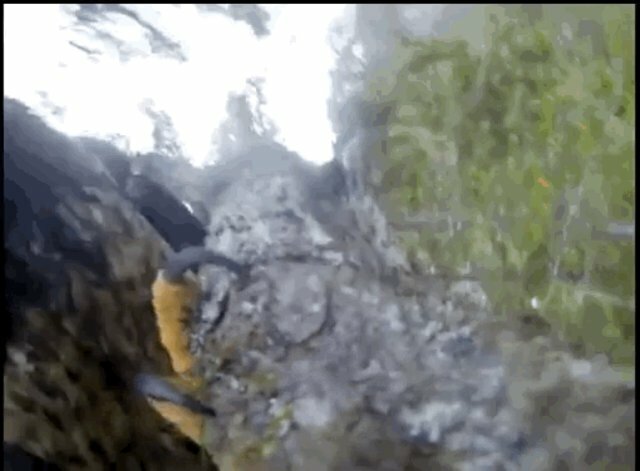 After that it was curtains for the non-edible GoPro, which was sent tumbling down the tree by the disinterested bird. 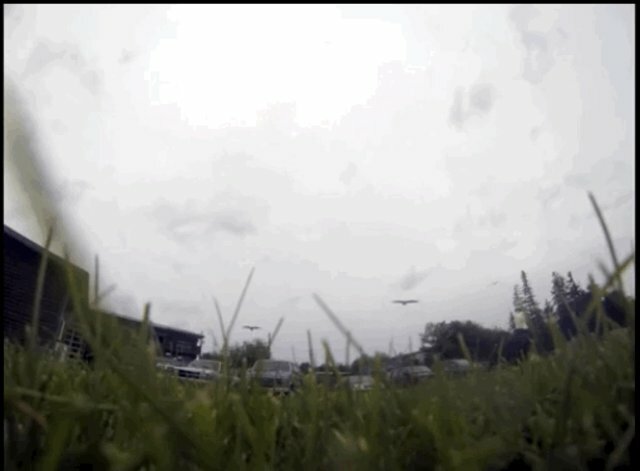 The footage is likely what an eagle's prey would experience if hunted and captured, as eagles generally take their food back to their nest to devour it.